Due to the widespread application of antibiotics in both human, and veterinary medicine, there is an increase in the presence and persistence of bacteria in the natural environment that are resistant to antibiotics. This is a growing health concern with recent reports concerning these so-called “superbugs”, so it is important to find new sources of antibiotics. Wastewater treatment plants are considered hotspots for the growth of these “superbugs” due to prevalence of both antibiotics from the sewers and conditions that promote the growth of bacteria. At Stowmarket based malt and malted ingredients producer Muntons, Environment Manager Ryland Cairns recognised that there could be potential to find some good bacteria due to their unique feedstock within their award winning anaerobic digestion plant. As Ryland explains: “At Muntons we are committed to further advancing the knowledge surrounding the benefits of AD digestate. As such we are keen to get a better understanding of its composition whether this be related to nutrients, phytometabolites or in this particular case novel antibiotic producing bacteria.” He continued: “We were pleased to find out that our AD plant appears to produce antibiotics that could potentially be developed as a medicine in the future to combat Micrococcus and drug resistant E. coli. Due to the varying nature of AD plants and feedstock it would be great to know what is lurking inside other digesters”. Digestate from Muntons AD plant was sampled and sent to Dr Adam Roberts at University College London who analyzed it as part of his ‘Swab and Send’ project, as featured on the BBC radio four ‘Inside Science’ show. The project aims to find new antibiotics that could be developed by asking the public to swab their everyday environment and send them in for analysis. 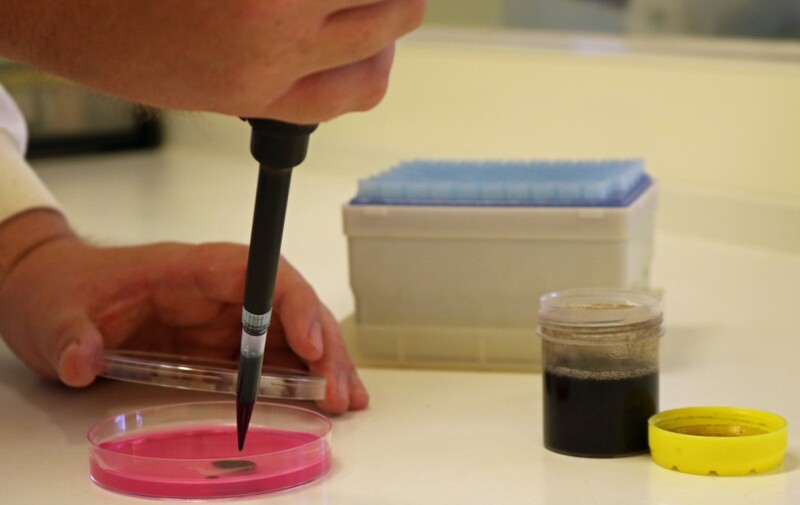 Further research is being undertaken as part of the Swab and Send Project to firstly identify the strain of bacteria found and subsequently the compound that it is producing it, to determine if it is something novel.